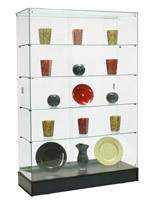 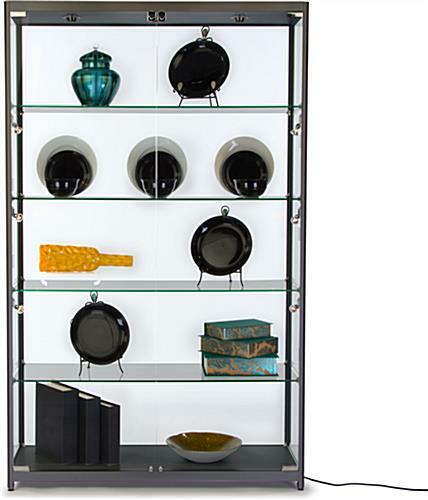 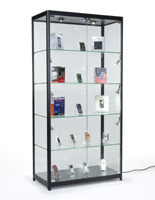 These illuminated glass display cabinets have (9) halogen lights and (4) tempered glass shelves. 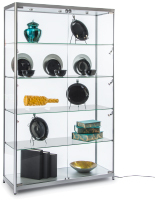 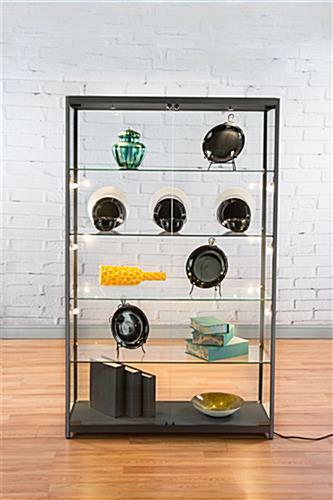 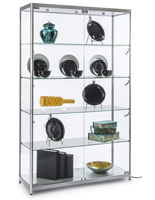 These full vision stands are great for merchandising jewelry and curios because they offer a 360° view of their contents. 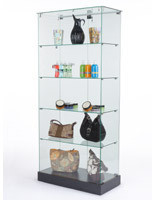 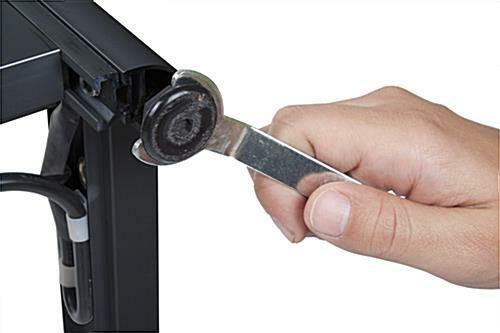 The 48" wide tempered glass display cabinets have locking doors to protect the items in retail, commercial or professional environments. 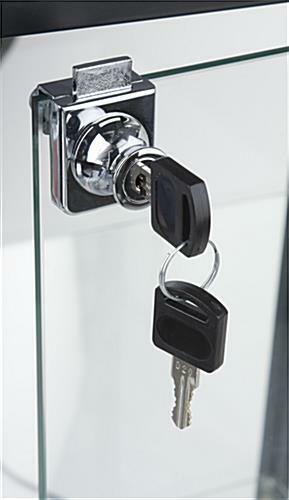 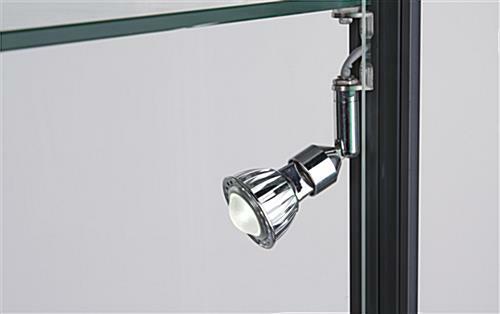 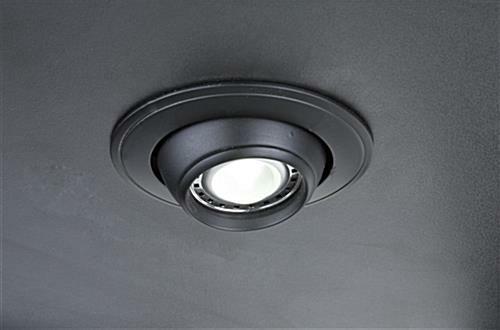 Merchandise or collections can be spotlighted with the (6) side and (3) top lights that can swivel as needed. 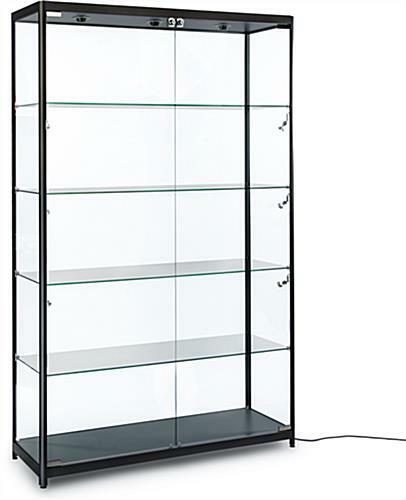 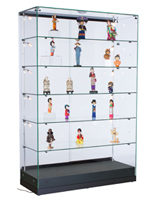 These 78" tall display cabinets keep curios safe with their locking doors that can only be opened with the included key. 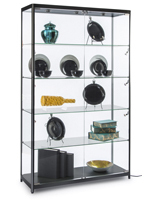 Valuable items like jewelry, porcelain, antiques or even accessories shine in this full view stand with a neutral black powder-coated finish.